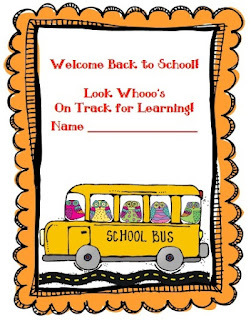 Smarter Balanced Teacher: Whooo's On Track for Back to School? Whooo's On Track for Back to School? Okay, so I have to be honest. When my principal announced our theme for next year, "On Track for Learning", I just about gagged! I told him, "Girls don't like trains," and he said, "Brooke, you always make my job so much easier!" I had my heart set on all the precious new owl decor, and wanted my room all pink, green, turquoise, and, well...ME! After last year's "All Hands on Deck", I thought we could be a little more girly! After racking my brain on how to make the owls fit the theme, I came up with "Whooo's On Track for Second Grade? ", and I love it! I added owls to the cutest busses and VW bugs you've ever seen and put them on a road, okay a track. Anyway, hot pink, lime green, bright blue, orange, even lavender and yellow work together and make me SMILE! The next day, I went to school just to let him know I had it all figured out, and could continue to let him live another day. I'm sure he was relieved, after losing countless hours of sleep over my dismay...I've tried to tell him my real job there is to be a pain in his rear! I'm just glad he puts up with my smart mouth, and realizes no matter how hard I try, the filter DOES NOT WORK! Rant over. 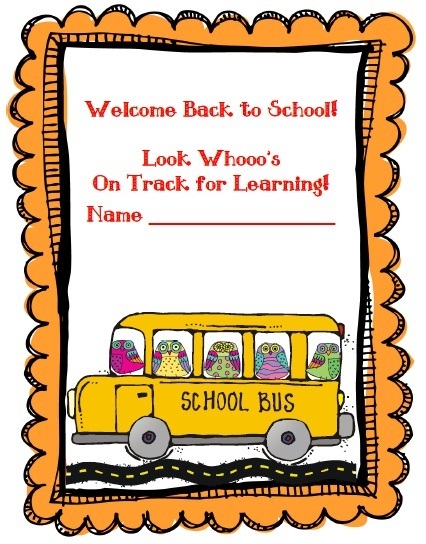 My "Whooo's On Track for Learning" Back to School Activity Pack is finally ready, and posted on TPT for only $4! 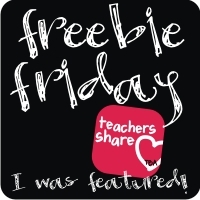 The owl theme is so cute, thanks to graphics by KPM Doodles, and the common core aligned activities are perfect for those first few hectic days of school. I'm working on math and literacy centers, and will have them posted as soon as possible.